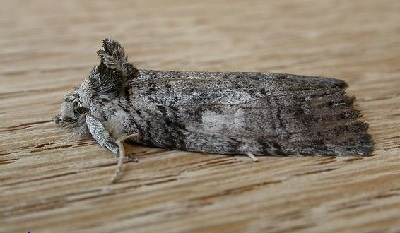 The adult moth of this species has fawn or grey forewings with a faint pattern of darker lines and speckles. The male also has a pale patch on each forewing costa. 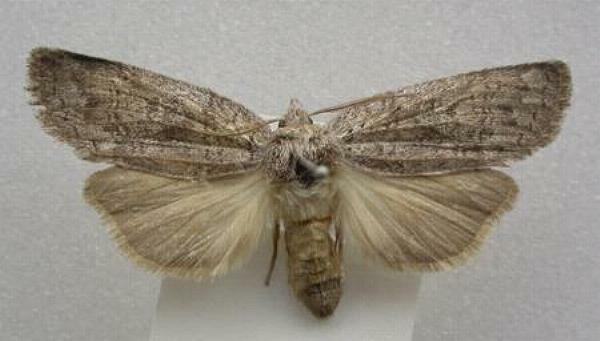 The hindwings are paler with no pattern, even paler toward the bases, and have recurved margins. The wingspan is about 4 cms. Entomological Society of Victoria, 2009, pp. 12-13. Volume 28 (1903), p. 69, No. 25.